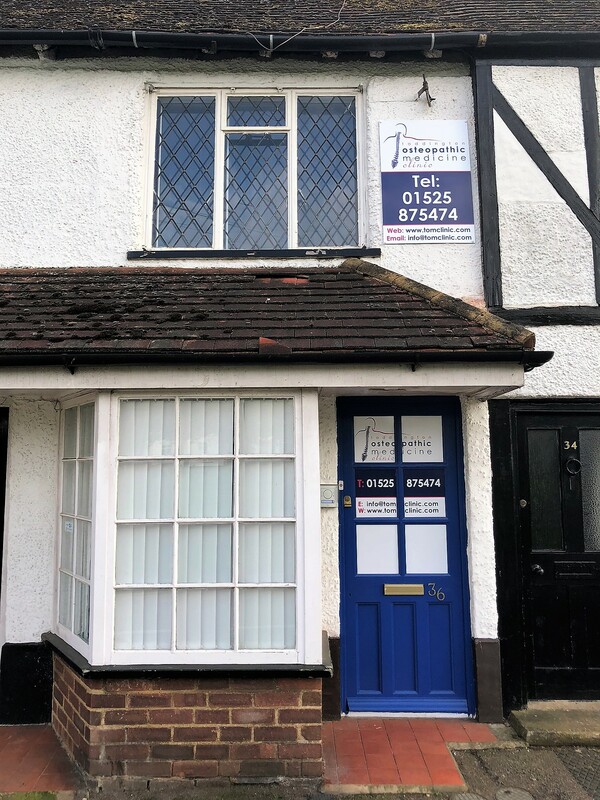 TOMClinic was established as a primary health care practice in 2007 to provide professional effective osteopathic care to Toddington and surrounding villages. We are a practice that goes the extra mile as standard, reflected in our many testimonials. At TOMClinic, our approach is to identify and address the root cause of a complaint, rather than to just treat the symptoms; which means not only are your pain and symptoms more likely to be relieved, but they are also less likely to return. Osteopathy is suitable for the whole family from babies and children at all stages of development, through to the elderly and associated conditions, as well as postural problems caused by pregnancy, work strain, driving, or sports injuries in adults. If you are unsure if we can help you, please do not hesitate to pop in, call us on 01525 875 474 or email where a we will endeavour to advise you appropriately. Our osteopaths are registered with the General Osteopathic Council and the Institute of Osteopathy.